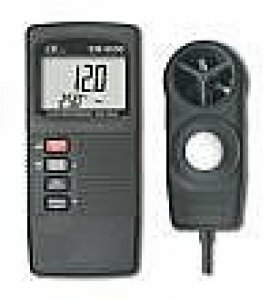 * 4 in 1 : Humidity meter, Light meter, Anemometer, Type K/J thermometer. * Unit select, Data hold, REC (max., min.). * RS232/USB interface, Record (max., min. ).